Monday morning brought two questionable reports about Apple's plans for the future, with one Korean publication speculating that LG has won a contract to supply displays for Apple's still-unannounced "iWatch" and a Chinese website claiming a next-gen 4.7-inch iPhone will be unveiled at WWDC. Seoul, South Korea-based LG is said to have secured an exclusive contract to manufacture 1.52-inch flexible P-OLED displays for Apple's so-called "iWatch." The purported production is said to begin in the second half of 2014, with a goal of producing 2 million displays in the first run. The news was originally reported by Korea's Digital Daily, but the article was subsequently pulled from the website. A cached copy was found by G for Games. Previous iWatch display rumors have focused on AMOLED technology from LG and others, with size predictions ranging from 1.2 inches to 2 inches on the diagonal. Notably absent from the OLED-predicting pack is well-connected analyst Ming-Chi Kuo of KGI Securities, who instead believes the device will leverage existing GF2 touchscreen technology found in the iPod nano. 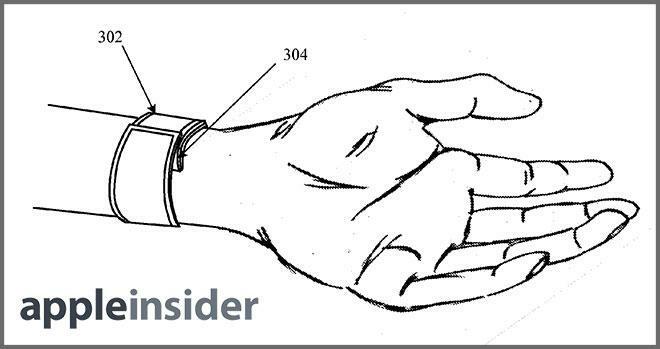 Using flexible P-OLED displays would allow Apple to create a curved, wrist-hugging device— similar to patents the company has already been granted —but would likely increase the product's cost. Chinese analyst Sun Changxu told Chinese-language website QQ Tech that she expects production on Apple's next-generation iPhone to ramp up as soon as May in preparation for a debut at the company's Worldwide Developers Conference in June. The so-called "iPhone 6" would sport a 4.7-inch, 1136 pixel-by-640 pixel display, with a higher-resolution 5.7-inch "phablet" variant to follow. 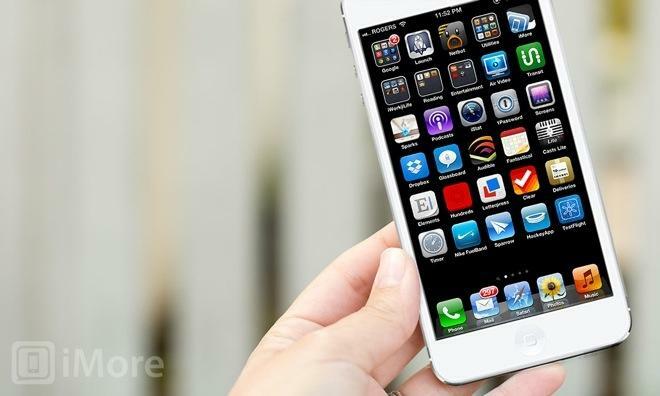 Concept for a larger-screened iPhone, via iMore. The 4.7-inch screen size has been mentioned in connection with the iPhone 6 before, but the cited resolution does not match previous rumors. DisplaySearch vice president David Hsieh said last October that he expects a 4.7-inch iPhone with a 1280 pixel-by-720 pixel, or 720p, display. Earlier this month, DisplaySearch updated its predictions. The firm still believes Apple is targeting a 4.7-inch display, but has now shifted to a 1920 pixel-by-1080 pixel "Full HD" resolution.